China is the fastest growing market for wind and nuclear power generation, and is investing heavily in exploring alternative, renewable means of addressing its immense energy needs. 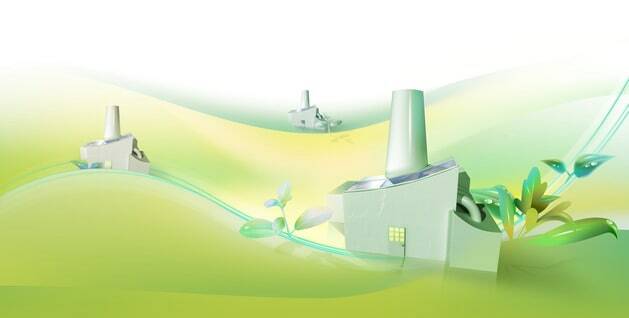 With a large potential cleantech market, and strong government support for the development and adoption of new clean technologies, China presents great opportunities for European cleantech SMEs. China’s large market potential means that cleantech businesses cannot risk losing a strategic foothold in China by waiting to act. However, cleantech businesses that enter China need to understand that while good execution, effective management, and access to financing is critical to maintaining a competitive advantage, protecting good technology is also equally critical. Although technology transfer can be structured in a way that minimises IP risk, additional preparation and measures directed at the IP environment in China need to be considered as well. How IP fits into an overall business strategy will depend on whether the firm is a start-up or a growth business, and also whether the technology itself is new and untested in the market, or mature and ‘off-patent’ (technology that is no longer protected by patent). Different businesses will use IP to achieve different objectives, such as to maximise revenue-generation by monetising their IP portfolio through licensing, increase opportunities for partnerships and cross-licensing, or bar new market entrants. For example, a manufacturer of wind turbine components might consider focusing efforts and resources towards obtaining patent protection of component designs because infringement by counterfeit components can be easily demonstrated and proven in court. They may then also focus on budgeting sufficiently for enforcement campaigns to actively identify counterfeiters. On the other hand, a cleantech business that has developed a biomass on-site power generation system for livestock farms, and is looking to license the technology to farms across China, may want to obtain patent protection and explore ways to ‘black box’ (i.e. to withhold or keep secret by fragmenting production) key parts of the technology. This could be done by supplying specialised equipment or by having a trusted contractor perform the installation because the technology will need to be taught and practiced by the licensee. Patent protection is perhaps the most common form of IP protection in the cleantech space. This is because many clean technologies are capital-intensive and take a long time to achieve market acceptance, especially for those that are currently too expensive to be commercially viable. As a result, cleantech investors often demand patent protection as a way of securing monopoly profits. Having a cleantech patent portfolio can bring other tangible business benefits such as stability, credibility, increased valuation, access to investment and financing, availability of defensive patent strategies (i.e. the strategy of filing patents directed at using them primarily to block competitors from using similar technology), opportunities for partnerships and/or cross-licensing. Being able to leverage exclusive rights can influence strategic decisions and the direction of investment. Thus, for many cleantech businesses, investing in the development of a valuable patent portfolio can be a smart move if it is directed at achieving specific business objectives. Cleantech businesses will need to decide whether to protect inventions as patents or keep them as trade secrets and know-how. Inventions that are protected by patents become public knowledge, which can allow competitors to refine, design-around, or re-invent the technology so that it can no longer be protected by the patent. Cleantech inventions with a commercial shelf-life of significantly longer than 20 years should be considered for trade secret protection, but only if the business is confident in its capacity to protect its trade secrets (i.e. has sufficient know-how, IPR, IT, HR and legal resources directed at trade secret and confidential information security). Building a valuable cleantech patent portfolio requires devoting a substantial amount of financial and management resources. ‘Shot gun’ approaches (i.e. setting a target number of patents and allocating a certain amount of money for each patent) to filing and prosecuting patents are attractive to businesses with limited budgets, but fail to deliver quality patents more often than they succeed. Rather, new inventions need to be qualitatively evaluated on their merits to determine how much of a business’ limited resources need to be devoted to tasks such as drafting of claims and application filing so that a strong patent is obtained. A more fundamental question facing cleantech businesses is when to file for a patent. When a new invention is developed, it can often be difficult to predict the direction in which the technology will develop, as well as shifts in market trends. Filing too early may result in a patent that is not directed at how the technology is developing several years later. However, filing too late can risk someone else filing a patent for the same invention, or risk losing patentability if the secrecy of the invention is lost. This issue is even more important in China which is a ‘first-to-file’ system, making it easier for other parties to block you from using your own IP in China by registering it before you. It is also important to note that the registration process can be very lengthy, and your patents can only be protected in China once a registration has been completed. Alternatively, consider whether combining invention patents with utility models can be used to provide additional flexibility. Although some clean technologies are cutting-edge, many are based on technology that has been in existence for many years (so-called ‘legacy technology’). As a result, the cleantech space in many areas is characterised by incremental innovation and a convergence of existing technologies. It is important to recognise that such new technologies can be protected, with a utility model patent if not an invention patent, and should not be overlooked by development teams as insignificant innovations. China differs from many Western jurisdictions by providing patent protection for utility models, which protects the shape, structure, or the combination of shape and structure of a physical product (methods and compositions can only be protected by invention patent) for a term of 10 years (compared to 20 years for invention patents). Obtaining a utility model patent, sometimes requires a lesser degree of ‘inventiveness’ (i.e. the degree of innovation over known technology) than needed to obtain an invention patent. Utility models are inexpensive and quick to obtain, on average within 9-12 months, and are well suited to protecting products with shorter product life-spans. Utility models are often viewed as a weak form of IPR because utility model applications are not substantially examined for patentability, and are often discounted by foreign businesses because they are unfamiliar with them. However, Chinese businesses have been taking advantage of utility model patents for years and have successfully used them to block foreign competitors and obtain huge pay-outs. Combining utility models with invention patents can also be a smart way to deal with clean technology based on legacy technology. Licensing and sale of IP can be a potentially lucrative source of cash flow for cleantech businesses with high-value IP. However, the decision to monetise IP through licensing or sale is one that must be taken only after careful consideration of a number of important factors. In terms of patent licensing, arrangements broadly fall into two categories – ‘carrot’ and ‘stick’ licensing. This refers to a license taken on voluntarily by the target licensee without the need for the patent owner to sue. A large part of bringing potential licensees to the negotiating table is to be able to demonstrate strong rights to a credible technology that requires specific know-how to fully realise. A cleantech business can be successful with this approach when a patent license is coupled with a license to the cleantech business’ know-how related to implementing or practicing the technology. Once interest is secured, licensing negotiations should be conducted under a Non-Disclosure Agreement (NDA) that contains a promise by the target licensee not to file for a declaratory judgment (a lawsuit brought by the target licensee to declare that the IP holder is not using and is infringing rights to the technology) during the negotiations. ‘Stick’-licensing is a necessary option when a third party is already using a technology without a license from the owner of the IP, thereby infringing the owner’s rights. A business may pursue litigation to compel the payment of royalties by demonstrating that, 1) the technology is covered by their own IP, 2) the IP is valid, and 3) the business is willing to sue and enforce its IP rights. Often target licensees will not seriously consider paying royalties until this can be demonstrated; however, putting IP to the test in litigation can be risky. In all cases, the validity of the IP will be challenged, and may be lost and invalidated. For this reason, many businesses do not choose to license their core IP unless they are confident of the strength of their innovations. Additionally, although a business should expect to go the distance if it intends to file a lawsuit, communicating with the potential target licensee early and frequently can be a good way to increase the chances of a settlement. When certain IP is no longer attached to a product or a core aspect of a business, it may be worthwhile to sell the technology through an IP assignment to avoid the carrying costs associated with keeping it in the portfolio. A major benefit of a sale is that a business can obtain an immediate cash flow, whereas license royalties typically take 2-3 years to materialise once a product hits the market. When trying to decide whether to sell IP, it can be a good idea to engage an outside consultant to determine the value of the IP, as potential purchasers may estimate different values. One way to mitigate the risk of miscalculated value is to couple a sale with a grant-back license. In this arrangement, the buying party grants a license to the selling party to use the technology after the sale. It is also best to try to negotiate the right to sub-license as part of the grant-back, in order to keep as many options available as possible. Perpetual Motion is a small German company specialising in the manufacture of intelligent drives that reduce energy usage of industrial machinery by more than 80%. The company owns several patents covering drive designs in China, but most of the precise engineering processes needed to economically manufacture the drives are in the form of know-how – potential trade secrets. In addition, Perpetual Motion uses special software to control and improve the efficiency of the intelligent drives. Looking to quickly obtain cash flow to cover upcoming financing needs, Perpetual Motion chooses to explore licensing the technology to industrial machinery manufacturers in China. After meeting with several manufacturers, Guangdong Green Machinery Co., Ltd. (GGM) expresses an interest in obtaining an exclusive license. Perpetual Motion agrees and the parties sign a Non-Disclosure Agreement (NDA). As part of the arrangement, Perpetual Motion proposes to grant an exclusive license to GGM for Perpetual Motion’s patents and know-how in China. During negotiations, GGM conducts due diligence on Perpetual Motion’s patents. However, negotiations stall when the parties cannot agree on royalties. Undeterred, Perpetual Motion then decides to seek a Chinese partner to sell its products in China. They find Mr.Liang, who owns Zhejiang Components Co., Ltd. (ZCC), a small components manufacturing company that also owns some patents for certain manufacturing processes. Perpetual Motion and ZCC enter into a Non-Disclosure Agreement (NDA) and a manufacturing services agreement. Mr. Liang agrees to manufacture the intelligent drives to customer specifications. Perpetual Motion decides to keep design-to-fit work in Germany, and Mr. Liang agrees to set up a secure area in his factory. As part of the arrangement, Perpetual Motion sets up secure file servers from which Mr. Liang can access sensitive documents related to the precise engineering processes needed to manufacture the intelligent drives. Perpetual Motion also seconds several technical managers to the factory to train authorised employees on the manufacturing processes. Each of the employees signs a confidentiality agreement and an agreement not to compete, and are provided with training only on the specific processes that they will work on. European cleantech SMEs need to be proactive in understanding and taking measures to minimise IP risk when doing business in China. Often SMEs get caught up in fast-moving deal opportunities and do not adequately address critical IP issues. Cleantech businesses can avoid incremental losses to competitiveness by thinking strategically about IP, including how to build a robust patent portfolio and ensuring that no single party can practice the complete technology by keeping core processes and components separate. It is also important to remember that legal protection is available for incremental innovations via utility model patents, allowing for an extra level of protection and a stronger market position in a sector where rapidly evolving technology is the norm. Develop an IP strategy for the medium to long-term, and determine how IP will fit into the overall business strategy in China. It can be difficult to secure a license and royalties from a potential licensee unless it can be clearly demonstrated that non-patented know-how is essential to making the product commercially viable. The decision to sue and enforce IP involves considering the strength of the patents, the resources necessary to pursue litigation through to its conclusion and defend likely invalidation actions against the patents, and protecting the core aspects of the business’ competitive advantage. Document and use specific policies and procedures, including non-disclosure agreements (NDAs), when disclosing sensitive proprietary information. Look for good partners that do not have direct conflicting interests and who are likely to respect IP.